Ostrander Point: All the witnesses have been heard | Mothers Against Wind Turbines Inc.
Today was the end of a long and exhausting journey for the members of PECFN, the supporters of our fight to Save Ostrander Point, our legal team and probably the opposing lawyers and the tribunal panel as well. The last of the witnesses was heard this morning. Shawn Taylor, a witness for the approval holder (Gilead) gave testimony about his success in aquatic and terrestrial rehabilitation projects. In some projects, apparently, he was involved in creating artificial nesting sites for Blanding’s Turtles. There did not seem to be any evidence; however, that the turtles actually used these artificial sites. Most of Mr. Taylor’s work seems to have been in restoration of wetland habitat for road construction. The second witness for the day was to have been Mike Lord, president of Gilead. After the lunch break the Gilead lawyers came back and announced that Mike Lord would not be giving testimony. Everyone in the room gave a huge sigh of relief – we could not believe it was finally over. Before January 15, the legal teams will be submitting written briefs and replies summing up the case. On the 15th final oral submissions will be presented in Toronto and then the ERT panel will deliberate and write their final decision. Meanwhile, PECFN continues raising funds. On January 16 we present Winter Wonderland Walk. This 3 km walk will proceed along Hilltop Rd and up Brewers Rd to Long Dog winery. Long Dog has graciously agreed to provide mulled wine for the walkers and we will make sure there is also hot spiced cider. We will also provide rides back to your car parked at the side of Hilltop Rd. All you have to do is register for the walk and get a few people to sponsor you. It should be a fun afternoon and we will raise some much needed money for the cause of keeping our South Shore Turbine free. 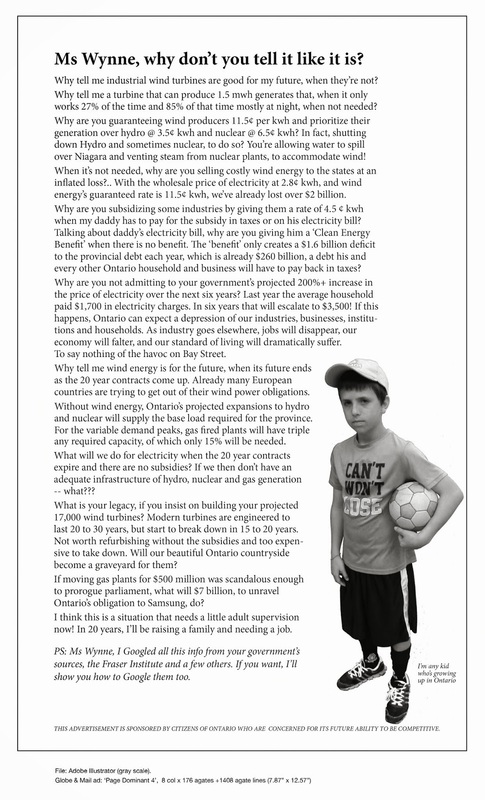 Previous PostWhen the wind blowsNext PostNiagara Wind Project: The Scars will be deep….